An herbal kidney remedy is something many people reach for when they suffer from kidney disorders. Many of the herbs discussed help maintain function, eliminate waste and regulate fluid balance in the body. The basic functional unit of the kidney is the nephron. It contains structures that filter out wastes from the blood, retains essential nutrients, and concentrates remaining fluid into urine. This passes into the ureters, which are small tubes from the kidney to the bladder, and then the bladder. Kidney pain is usually dull, severe, boring type pain in the mid to lower back. Additional symptoms of kidney disorder include blood or protein in the urine, chills, fever, fluid retension, and nausea. Tea or coke colored urine can signal acute renal failure and needs immediate medical attention! Kidney disease has many origins and to try and discuss it on one page is virtually impossible.The following links are to different pages on this site for specific kidney problems and possible herbal treatments. Kidney disease can be serious. I do NOT advocate trying to treat kidney problems with herbs alone! Instead, these formulations should be an adjucnt to what your doctor has recommmended. Kidney disease is a broad term for disorders of the kidney that are divided into two groups: acute and chronic. Acute disorders are usually caused by infection and last for a short period of time. Generally recovery is full. In the presence of other conditions such as heart failure, the acute kidney disease can become acute kidney failure with more serious consequences. Chronic disorders have a much slower onset, months to years and have more long lasting consequences. Chronic problems are common in diabetes as over time the arteries become weakened by the pathology of diabetes. Idiopathic glomerularnephopathies cause the kidneys to leak large quantities of protein. This occurs in the presence of autoimmune disorders, allergic reactions and chemotherapy. 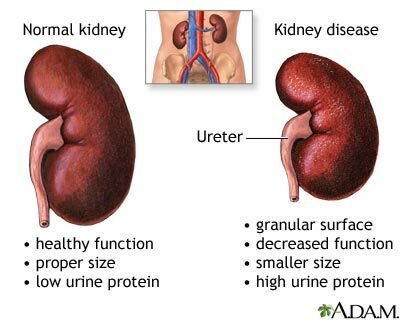 Nephrotic syndrome also causes the kidneys to lose protein and is caused by many of the diseases listed above. It also results in high cholesteral levels and swelling. Once again, I do NOT advocate the use of herbs alone for kidney diseases. They should be used in conjuction with conventional medical treatment under a doctor's supervision. 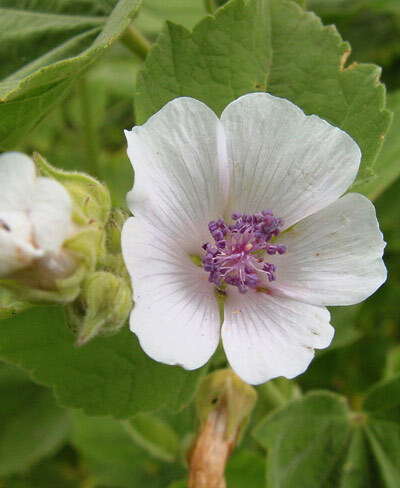 Marshmallow root Capsules.1000-2000mg/day for 2 weeks. Antibacterial and anti-inflammatory. Prevents bleeding in kidney. Dandelion root Extract. Take as directed on label. Aids in excretion of the kidney's waste products. Hoelen Dried or fresh 3-6 gms in food daily. Immune suppressant prevents lesions. Marshmallow root Tea. 1 qt daily. Cleanses the kidneys. Uva Ursi Arbutin tablet. 400-700mg daily for 2 weeks. Antibacterial and anti-inflammatory. Prevents bleeding. In general, ephedra and mate or any substance that raises blood pressure should be avoided. These will raise the pressure of the small arteries in the kidney. 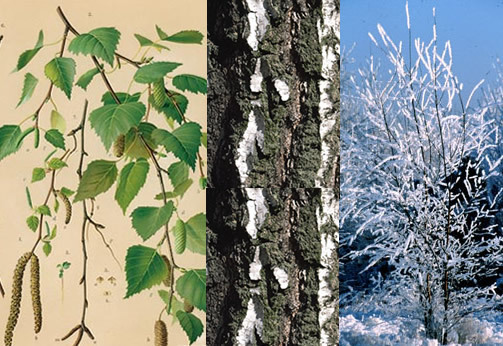 Magnolia, stephania and wintergreen are all potentially toxic and should be avoided. So go ahead and print this page out, take it to your renal specialist before you even buy any herbal kidney remedy or start taking them. Herbal remedies for kidney stones help with the crystals that are called "stones". These crystals are composed of calcium salts, uric acid, or struvite which contains magnesium. Calcium stones ar mulberry shaped, uric acid stones are shaped like footballs and may be brown or tan. Struvite stones are faceted. When stones become imbedded they form "staghorns". Stones cause no problems until they become dislodged. The pain at this point is stabbing and excruiciating, radiating around the flank. Symptoms also include fever, chills, nausea and vomiting, frequent urination, bloody or cloudy urine. Cloudy urine without other symptoms can be passage of microscopic stones. There are many causes of kidney stones including excess calcium foods in the diet, Cushings Syndrome, sarcoidosis, hepatitis, and chronic bacterial urinary infections. Aloe Vera Juice. 1/4cup daily for 2 weeks maximum. Slows rate of crystal formation. Birch leaf Tea bags in 1 cup water 3x/day. Stimulates urination, stops ureter spasm. Chanca piedra Tincture. Take as directed on label. Dissolves calcium stones. Kheila Any form, 20mg/day. Heals ureters after stone passage. Marshmallow root Tea. 1 quart daily. Cleanses kidneys, expels stones. Varuna Loose tea. 1tsp in 1 c.water, 3x/day. Inhibits formation of calcium stones. Drinking coffee, tea and wine may decrease the incidence of stones while drinking grapefruit juice regularly may increase them. Exceess Vitamin C (over 5000 mg/day) rarely results in a condition called hyperoxaluria which causes kidney stones. Avoid high protein and "crash" diets. These increase the acidity of the urine which promotes the developement of some types of stones. Use a magnesium supplement that does not contain calcium. Magnesium reduces lowers the concentration of calcium in the urine. 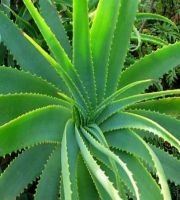 Search this site to find herbal topics.